Serving Surrounding OKC Families in Buying & Selling their homes! Get started now with a FREE Comparative Market Analysis (CMA) of your House! CLICK HERE for a Free CMA! My Real Estate Team will keep you one step ahead above the rest! Check out my qualifications below! Enjoy Real Estate Information on Facebook! Click "Like" and I'll keep you informed! • Certified Residential Specialist Designee (CRS): ?Why are only 4% of Realtors® Certified Residential Specialists? Because only one in every 25 REALTORS® has the advanced training, experience, and commitment to call themselves a Certified Residential Specialist. So when you’re looking for a real estate agent, look for a Certified Residential Specialist 100% of the time! • Attend the National Association of Realtors (NAR) Convention to stay up-to-date for my clients. • Interests: Horses and Dogs =) I've been around both all my life and enjoy riding with my horse & playing with my corgi dog in my spare time! During late 2013 and early 2014, Nicole Kaler served as our realtor as we attempted to list and sell our home in Yukon, Oklahoma. From the first time that we met, we knew that Nicole was the right realtor for us. We immediately noticed that Nicole is insightful, professional, and highly personable. Nicole guided us through the process and educated us every step of the way. She always made sure that we were aware of how each decision made would impact our sale. She always considered our desires, concerns, and worked diligently to meet our needs. The house sold, and everything turned out according to our wishes. Above all things, Nicole is a fabulous and caring person. 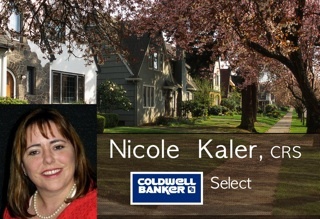 If you want a professional realtor with plenty of market knowledge, then Nicole is your best choice. However, if you want those same qualities, but also want personal service that is kind, considerate, and thoughtful.....then Nicole Kaler is your only choice! Call me today for a FREE Competitive Market Analysis of your home. Your home will be marketed, not just listed, and you will be working with a Realtor who is also a Certified Residential Specialist (CRS) & Certified Home Marketing Specialist (CHMS). Want to Sell? 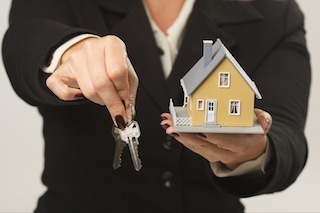 We provide MORE Services for our clients than ANY other real estate company in our area! You can be assured that you will be exposed to all the homes in the area that are in your price range and meet your needs. You will have representation from the first time you see your new home, through negotiations, the escrow process, close and after. Relocating? I assist out of state families looking for homes in the Central Oklahoma area all the time! It's important to have someone here in the Central Oklahoma area to keep you informative of the areas/communities, to keep you up-to-date on new homes on the market and to personally tour for you any homes you might find interesting. 8. Get help from a REALTOR®. Hire a real estate professional. Want to Sell? Check Out Our Services Below! Coldwell Banker Select is pleased to announce even MORE competitive marketing tools to get the most homes SOLD...Here's a hint of some of our services! First, every home listed with CB Select will be provided owner’s coverage with a national home warranty company (if interested) during the term of the listing. This means your home will be covered for most repairs during the term of the listing. Second, We market with Obeo virtual tour, the highest quality virtual tour in the real estate industry. All listings will also have at least 20 photographs with the photographs and virtual tours posted on more than 50 real estate related websites. Third, Coldwell Banker has arranged with real estate stager to Stage your home for your virtual tour and/or multiple photographs. AND MORE! Want to learn more about these new marketing tools as well as all of the other ways we work to get a home SOLD? Want a Complete Guide to All of the Services I Provide when Marketing a Home? You will be able to see why we sell more homes than anyone…period! We keep ourselves one step ahead above the rest! Want a Private Tour of a home or a Competitive Market Analysis (CMA) of your house?